Okay, so, before we delve deep into this article, let's first address the question that must be present in many people's minds: what exactly is a green wall? 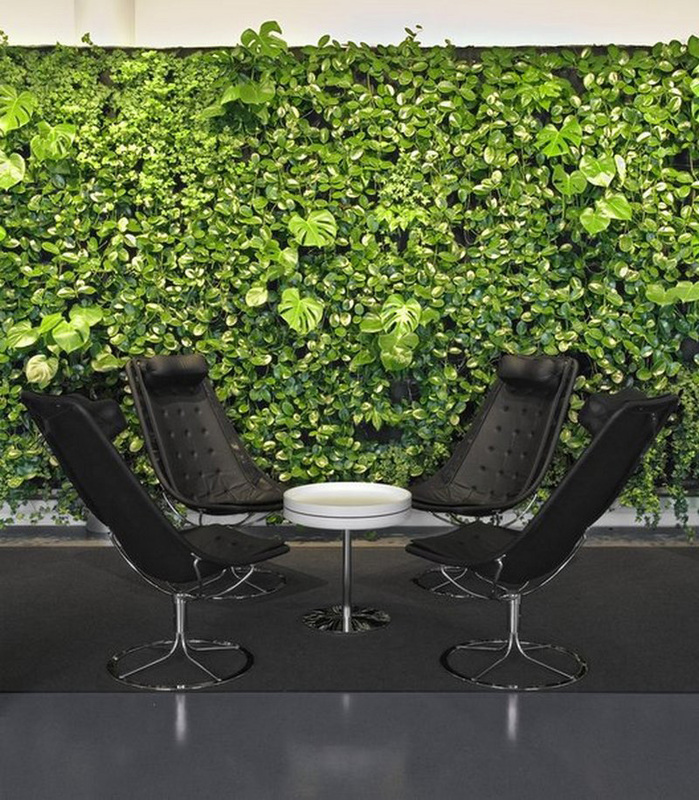 Unlike what most people confuse it to be, a green wall is not akin to a green room. No, the latter is where you add animations and make people do crazy stuff without them actually doing that. A green wall is a wall that is partially or completely covered with greenery, and has a growing medium, such as soil. 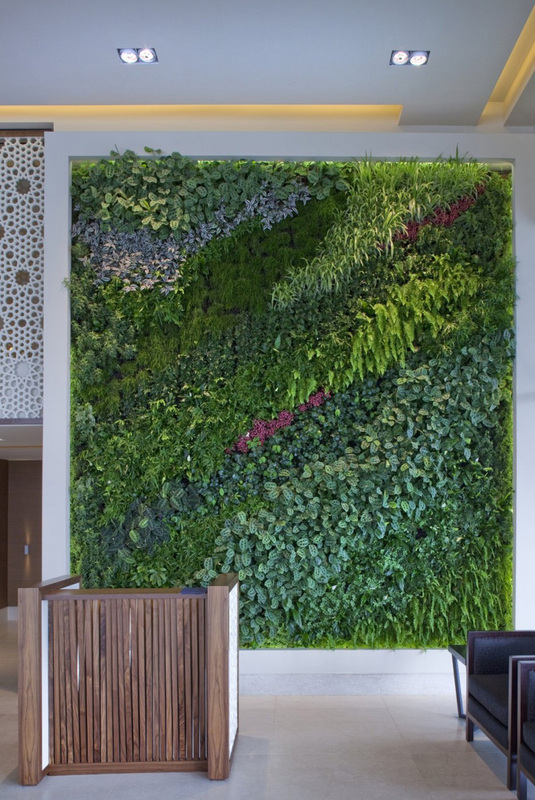 Most of the green walls have an integrated water delivering system and are sometimes also referred to as "vertical gardens" or "living walls". 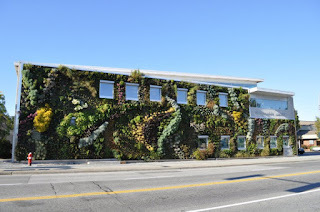 The nutrient flows over the wall to keep the greenery alive, and the foliage thus ensued into, is like a garden growing on the wall of your house. Now that we know what a green wall is, let's discuss why is it so important. The benefits of a green wall extend to many fields and horizons. And many of which have been listed down below. Of course, at the base of it all, such a wall is an individual's choice and we are not to urge you to install these vertical gardens in your house; rather, today we are going to articulate to you the benefits of having a green wall, what truly makes them appealing and at the end of it all, the decision remains yours. Let's begin then, shall we? 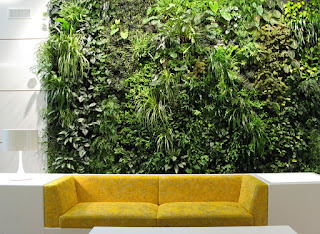 Green walls are efficient and useful, and yet they have not really gained a lot of popularity amongst the hoi polloi. People still tend to not know about the definition and characteristics of a green wall, and thus, if you install one in your house, not only will it give your house an edge over the others', it will showcase your keen sense of understanding. It is always good to do something outstanding and embarking on something new is not always a bad option. Green walls will help you achieve this bourne by their virtue of not being readily popular. So the next time visitors come to your place, give them a little surprise by that incredibly beautiful greenery you will have growing along a wall. We all know how pollution has gotten hold of many different people and sections around the world, and it is never too safe anymore, right? 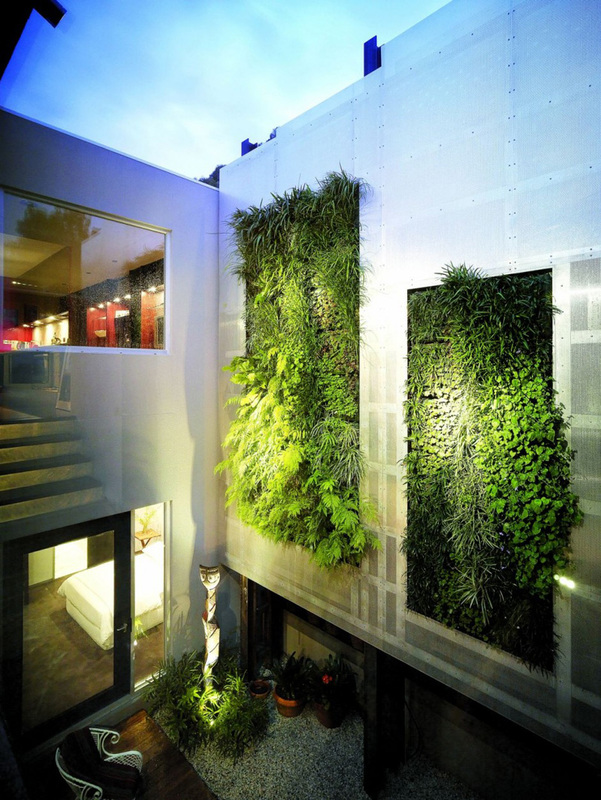 Green walls will help make your house a better place for you to live in and for the visitors as well. 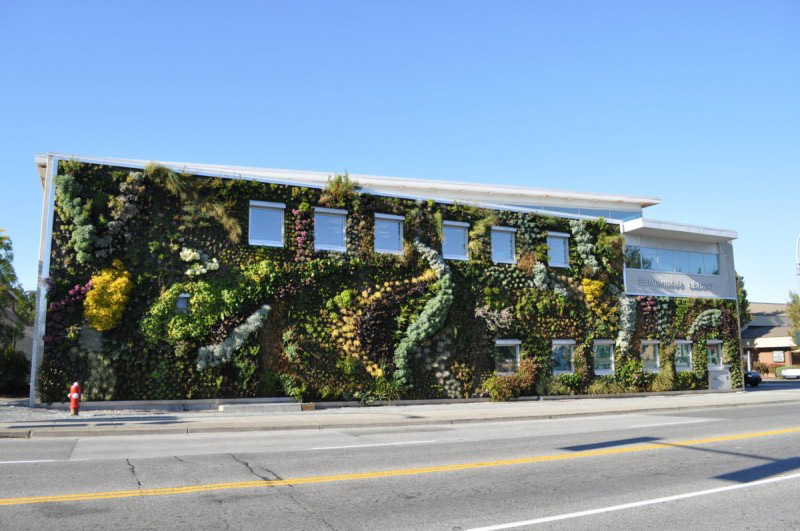 Sure, the aesthetic appeals are far too many for a green wall, but the primary function we loved the most, was its virtue of improving the air quality. Think of it like this, the wall is a garden, with plenty of plants growing inside your house (sans all the insects though, so that's a plus). The plants will purify the air around you, because of which you will lead a relatively healthier lifestyle. What's more is that this will be a one time investment because unlike other air-purifiers, the green wall will not ask for more from you. We say, go for it. Sure, we can put up wallpapers, textures, tiles, paints, etc on the walls of our house, and many of us even spend a lot of bucks to get the perfect "natural" feel for the house, but what better way to beautify your house than with nature itself!? Yes, you thought right. 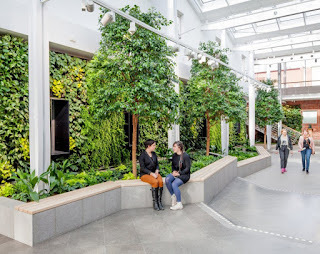 The green walls make beautiful interior decoration materials because of their sundry foliage, the natural appeal of nature and the vibrancy they impart. 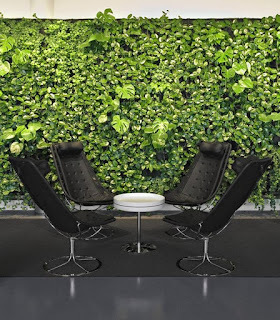 A green wall is bound to add elegance and uniqueness to your place, and although it will be more expensive than getting a texture or wallpaper done, if we tally all the other perks and benefits, and consider them for the long run, green walls prove to be a better way to beautify your house than any other material. We have all had certain visitors at our place that just ruin the aesthetic appeal of the entire house by creating stark, pungent spots on a wall, haven't we? Also, haven't we all seen weird, ugly spots start developing on walls over a course of years? And after a certain number of years, it just becomes impossible to get rid of those spots. Solution? Green Walls. Yes, these beautiful greenery-filled walls are a perfect way to hide those ugly spots that so often appear on the walls. The greenery is perfect for hiding those spots because nobody is going to look behind it, the spots will have no way of resurfacing and the green walls offer no such spots. It's perfect, indeed. 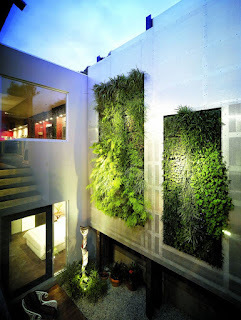 One of the most pertinent benefits of having a green wall, is the extent to which it reduces your electricity bill. In the current state of affairs, it is important to save up on electricity bills because of the massive charge, and green walls are the perfect way to do so. The green walls do not really require much electricity. We know plants do not need to be watered after every few hours so they are easy to maintain, and the trimming down of the greenery could be done on your own. The basic point here is that green walls do not use much of your electricity and help in cutting down on the cost due to the money you will be saving on one wall. We talked about reduction of air pollution with these walls, and now we talk about reduction of yet another form of pollution; noise pollution. Over the past few years, noise pollution has increased to an alarming extent and it has become crucial to start controlling this adverse state. To do so, green walls have played a major role. 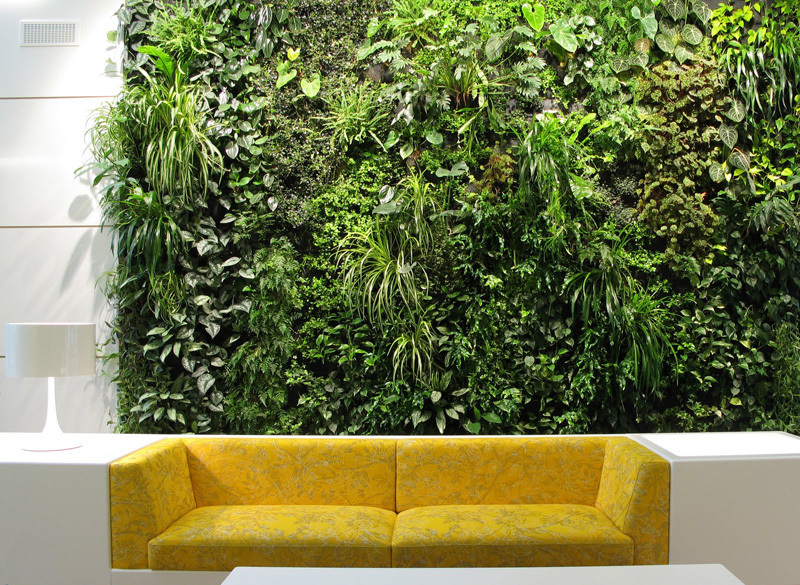 You will often notice that green walls are installed in public spaces and inside the living rooms of houses. The reason behind doing this is that the thick greenery helps absorb the many levels of noise that is being produced and reduce it to the extent that not much of it can escape and be harmful. 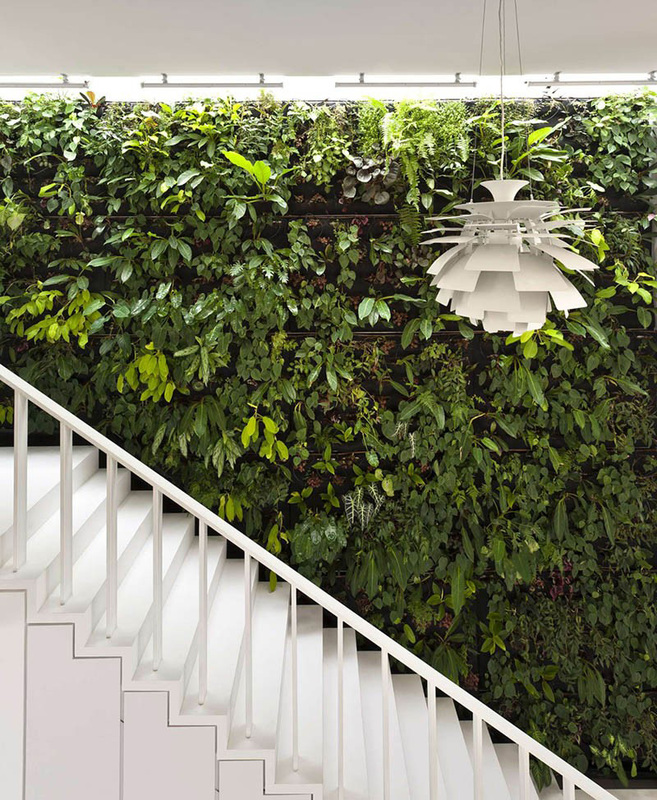 That is the reason why green walls have gained much attraction amongst home-makers. 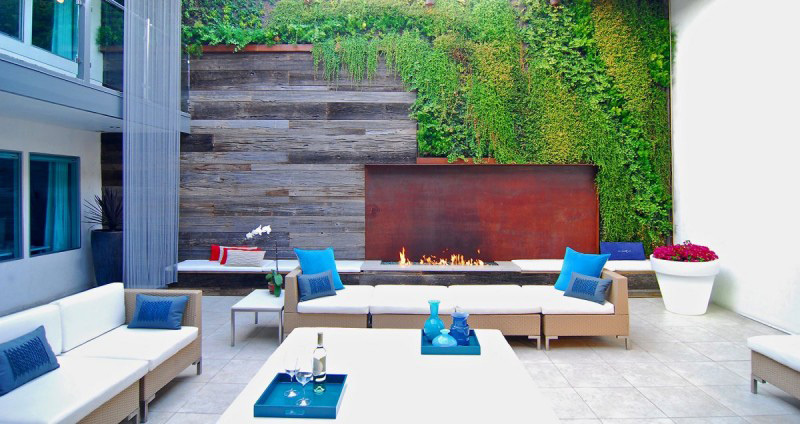 Nobody likes their talks to be heard outside, and green walls will surely help you in this regard. A pungent problem that we have nowadays is of space. Over years, space has become a major issue and the lack of it prevents many people from doing what they love. For instance, many people refrain from putting flower pots out in the balcony because of a lack of space. They do not feel like giving up their balcony's space for this. Enter green walls. The green walls do not require much space and the one that they do is sufficed by any wall, rather than floor. So it becomes much easier to put the flower pots outside, or to do anything else as well. The green walls can range from any size and it is up to you to make that decision. 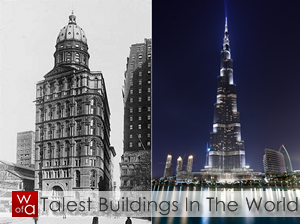 Didn't we tell you, these walls are just an idyllic aspect of modern day housing? Graffiti has become a major issue in numerous nations. People have often complained of hooligans, rough people, even celebrities (if you know what we mean), etc who had drawn graffitis on their walls. Green walls prevent this from happening because well, you cannot draw on plants now, can you? So the thick greenery will not only present a pleasant image to the people walking past your house, it will also hinder them from doing something harmful. Now that's a good solution! So, there you go, folks, the benefits of having a green wall at your house. As always, we leave the decision in your hands. All that we say here is that green walls have become a beautiful way to underscore your house's elegance and it never hurts to try something new, does it?